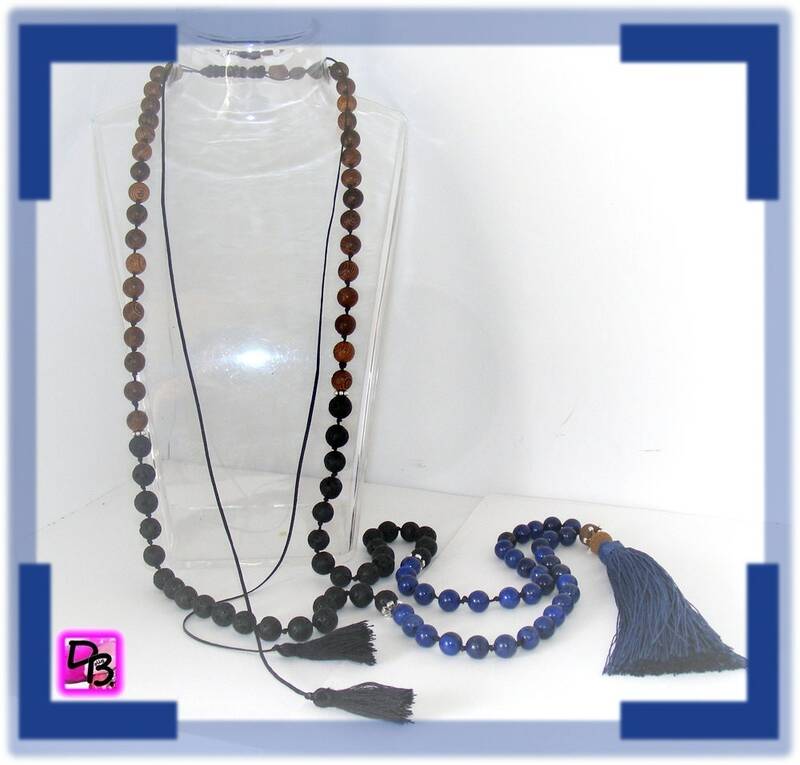 Beautiful long necklace with sliding closure, made of natural stones beads Lapis Lazuli, natural veined wooden beads and lava stones. I made this necklace on a wax cord waxed to give infinite flexibility. Each bead is then inserted with a bow. 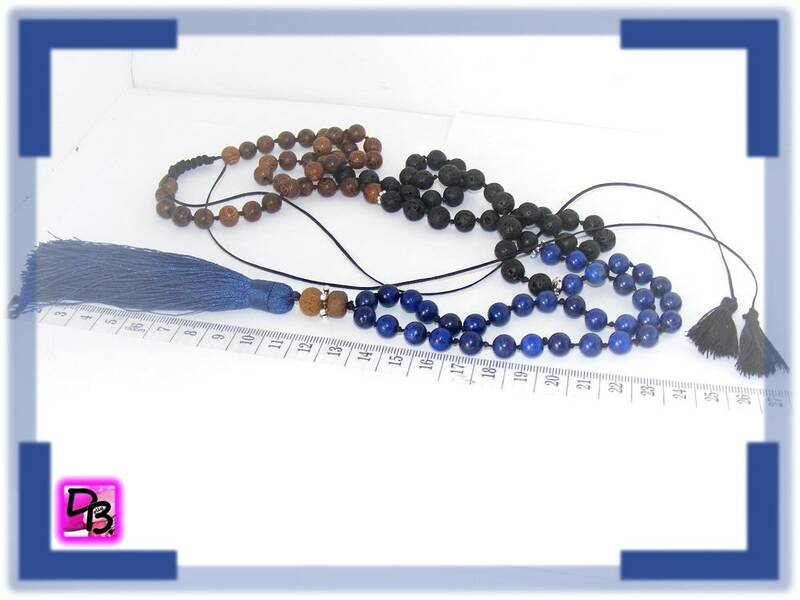 The tassel is blue color polyester night with nice reflections. The sliding closure is embellished with two little black tassels. 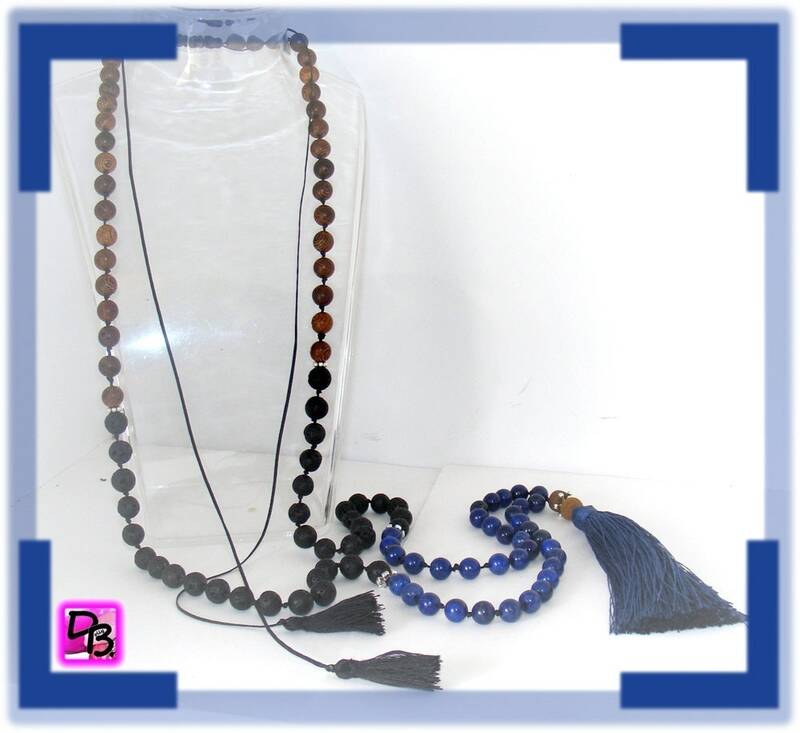 Many ways to wear this necklace, just with the length, or making a simple round and adjusting its length with sliding closure. My label SRAJD No. 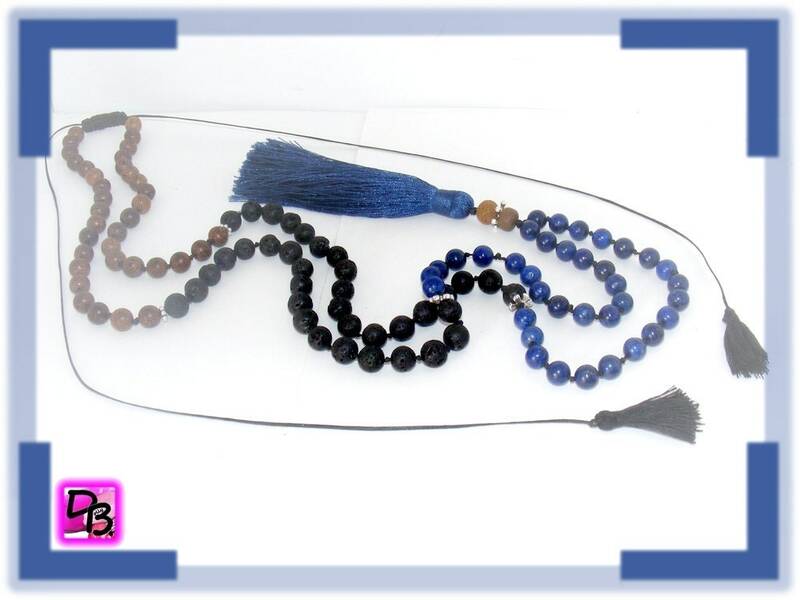 3784 (Self Representing Artist Jewelry designer) brings you this necklace is unique, designed and made by me as all my other items. This jewel will be sent in its organza pouch, ready for gift giving.